S0739. ARTHUR GRUMIAUX, w. Giulini Cond. Frankfurt Radio S.O. 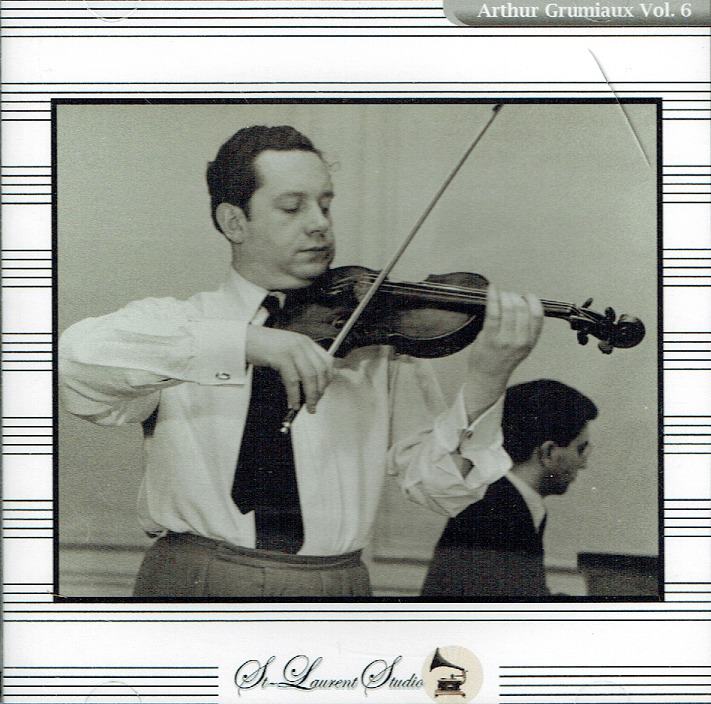 : Violin Concerto #2 in e (Mendelssohn), Live Performance, 1953, Frankfurt; ARTHUR GRUMIAUX & MAURICE GENDRON, w. Hans Müller-Kray Cond. Stuttgart Radio S.O. 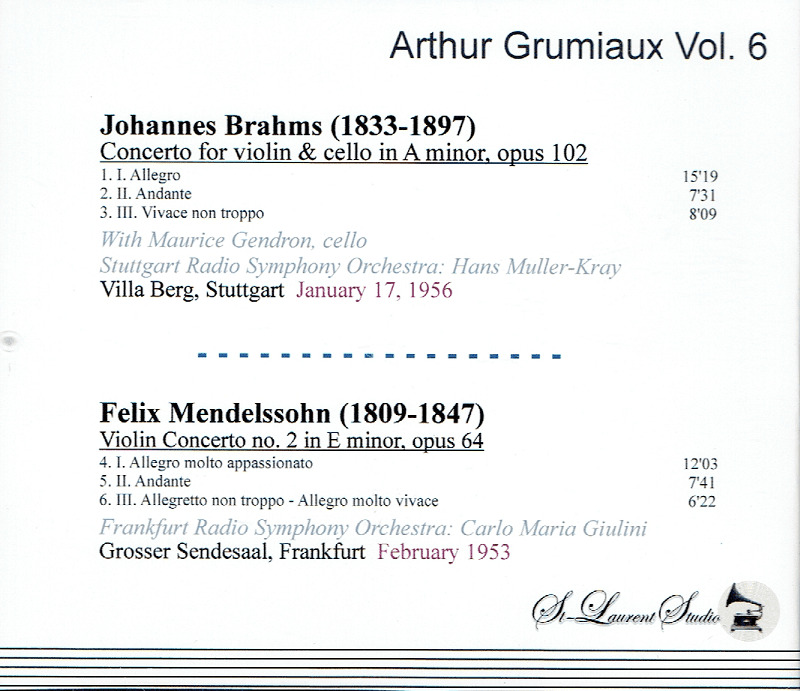 : Double Concerto in a (Brahms), Villa Berg, Stuttgart, 17 Jan., 1956. (Canada) St Laurent Studio YSL T-761. Transfers by Yves St Laurent. “Maurice Gendron, the French cellist and conductor whose lyrical style brought him international renown, was best known in the United States through his recordings of the standard cello repertory. Mr. Gendron was highly regarded for his elegance in Baroque and Classical works, as well as the deep coloration he applied to the Romantic concertos. 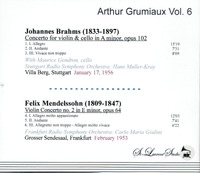 Among his best-known recordings are a set of the Bach Suites for Unaccompanied Cello, recorded in 1967; several Mozart and Schubert piano trios with the violinist Yehudi Menuhin and the pianist Hephzibah Menuhin, and Boccherini and Haydn concertos, with Pablo Casals conducting. His American debut took place in 1958 when he played three concertos with the National Orchestral Association in New York City. He returned to play the Schumann Cello Concerto with the New York Philharmonic the following year. Between 1959 and 1967, he performed in the United States frequently, both as a soloist and in collaboration with the Menuhins and the pianist Philippe Entrement. Mr. Gendron also pursued a conducting career, having studied with the Dutch conductor Willem Mengelberg and the West German conductor Hermann Scherchen. He did not conduct in the United States, but he frequently led orchestras in France, Portugal and Japan, where he made some symphonic recordings. He was an assistant conductor with the Bournemouth Sinfonietta in England in the early 1970s.